Tigi Superstar is the latest in Tigi\'s arsenal of mega luxurious hair products- and the level of quality is obvious from the moment you push the trigger sprayer! Superstar Volumizing hairspray not only has the quality and reliability of the rest of the Tigi Superstar Range, but has the added bonus of frizz-reducing properties. Add shine and hold to your locks as you cover them in a rich and effective formula that will put a smile on your face everytime! This is the ideal product for those of you who want a medium hold hairspray that boosts volume and revitalises your hair with ease! 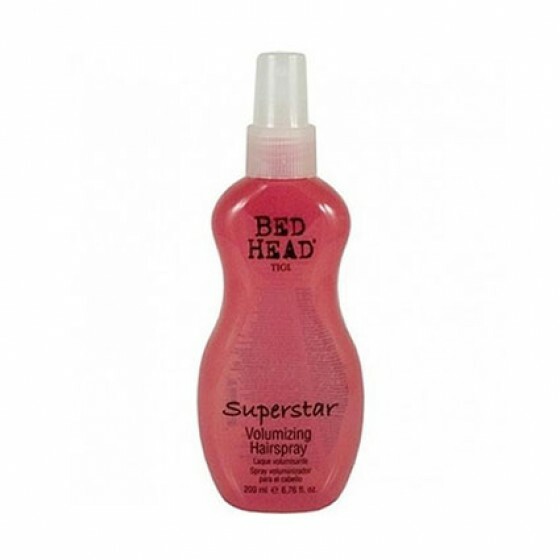 Simply spray into layers of hair for added volume and shine!